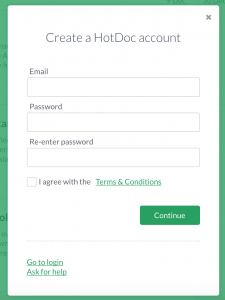 Welcome to Hotdoc, our new online booking system. We have switched our online booking system to HotDoc to provide patients with a simple, intuitive booking process. Not only does HotDoc save you time by allowing you to book appointments for yourself and your family faster and more efficiently, it also helps our practices to ensure we have accurate information about you on our system and can offer better, more comprehensive care. You can now book appointments for yourself and your family at Robina Town and Easy T Medical Centres online through our website or by using the HotDoc mobile app (for Apple or Android) with just a few simple clicks. Choose your appointment types, view available times and book your appointment. You can now check yourself in to your appointment when you arrive at the practice using the self-service Kiosks located at Reception. During the check-in process you can easily update your personal details. It’s essential we always have your correct phone number and address in our system for notifications and to let you know of any abnormal test results. Be sure to opt-in for SMS notifications, a new service available to help you stay on top of reminders and check-ups. 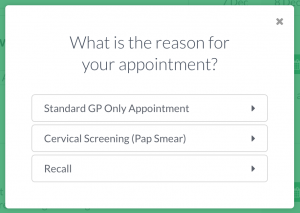 Get a message directly to your mobile phone to notify when you’re due for a skin check, cervical screening or other checkup. 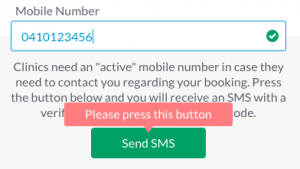 Click on the + symbol to read answers to frequently asked questions relating to our new booking system. Q. How do I book an appointment online? A. Booking an appointment is easy. Select the doctor you’d like to book with and click on the time that suits. You can register your details online, before or afterwards. You can book via your computer, tablet or smartphone at our website or on the Apple or Android app. Q. How do I create an account to book online? The email address and mobile phone number you register must be unique. Your surname and date of birth (DOB) entered in HotDoc is matched to your record at our practice. To reduce the length of any delay in confirming your appointment, please check your surname and DOB are entered correctly. Fill out your email and password ensuring they have been entered correctly. Then select ‘I agree with the Terms & Conditions’. Remember to record your password somewhere safe as you’ll need to enter it each time you make a booking. Following this, select ‘Continue’ – this will take you to the page to input your first and last name, DOB and mobile phone number. 2. After you enter your mobile phone number the following option will appear (see below image). Be sure to click on ‘Send SMS’. It can take anywhere from a few seconds to a few minutes (and possibly up to an hour) for your code to come through. If successful, you will now see a popup ‘Welcome to HotDoc’ and your name in the top right hand corner. This means you are logged in and ready to start booking. Q. Where do I find the HotDoc App? Q. Can I book an appointment for other people? A. Yes, you can book an appointment for yourself and other family members. You’ll be given this option at the start of the booking process. Q. Am I a new or existing patient? A. If you’ve ever attended a doctor’s appointment at Robina Town or Easy T Medical Centre, you will be considered an existing patient. If you find you can’t book as a new patient, try booking as an existing patient as perhaps you’ve been to one of our practices before but have forgotten. Q. What happens when my booking status is 'Pending'? A. Your appointment status will be listed as ‘Pending’ until it’s confirmed by our Reception team. If either of these apply, we’ll contact you as soon as possible during our opening hours. Once the appointment that you request is confirmed, when you refresh your browser or App in ‘My Appointments’ your appointment status will change from ‘Pending’ to ‘Confirmed’. Please be aware, if your appointment is ‘Pending’ and we are unable to contact you to confirm your details, your appointment will be cancelled. Q. Why would a booking be rejected? If you have any concerns, please ring the practice on 5578 9000. Q. How do I know my appointment is confirmed? A. You’ll receive a confirmation email when your booking has been accepted. You can also go to ‘My Appointments’ in your browser or App, to view the status of your bookings. Q. How many appointments can be booked at a time? A. You can request up to 10 appointments in advance, and available appointments are shown 3 months ahead of time. You can only book one appointment per day though. What this means is if you have an appointment booked on a particular day, and you need to rebook for the same day, you must cancel the initial booking before requesting another appointment on that day. Q. Will I get an appointment reminder? A. You’ll receive an email confirmation as soon as you make your appointment. If you click on the date and time in the confirmation email, you can create an event in your default calendar on your smartphone, tablet or computer. Q. What appointment types cannot be booked online? Please phone Reception on 5578 9000 to book an appointment for these types of appointments. Q. How can I cancel my appointment? A. HotDoc appointments can be cancelled or rescheduled by logging in to your HotDoc account, going to ‘My Appointments’ and clicking on ‘Cancel’. Q. What are the different appointment types? If you are a new patient and have never been to the practice before, the only appointment type available will be a new patient appointment. Cervical Screening Test. Once you select this option you’ll be given the option to book with the doctors who provide this service. Appointments that are longer in duration, or require a nurse to be available to assist, are not suitable to be booked online. In these cases, you must ring the practice to ensure an appropriate appointment can be made. Examples of appointments that cannot be booked online include Mental Health Care Plans and Team Plans; Assessments, Medicals and Paperwork e.g. Centrelink, WorkCover or Nurse assisted items. If you arrive at the practice having booked a standard 10-minute appointment, and you require a longer appointment, you may be asked to rebook. Q. What are SMS recalls? Recalls: advising you when it’s time for a routine health check, skin check or to follow up a test result. Information Broadcasts: essential practice information to be shared with patients. 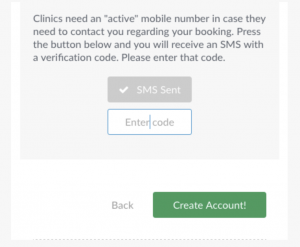 You can opt out of SMS notifications by clicking on the link in the SMS, or notifying our Reception team. Q. How can I opt out of SMS notifications? A. It’s simple to opt out. When you receive an SMS, you can opt out using the link in the SMS. However you will only be opted out of that particular SMS type, e.g reminder, recall or information broadcast. If you wish to be immediately opted out of all 3 SMS types, please phone the practice on 5578 9000. Q. How do I check in using the self-service Kiosk? Self-service Kiosks are interactive screens that allow you to ‘Check In’ to your appointment and conveniently check and update your personal details. 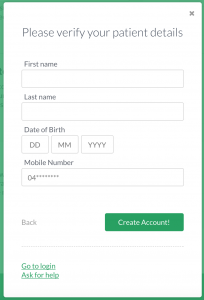 Simply follow the prompts on the screen to complete the check in process. You can be assured your privacy is protected as your phone number and address are not shown in full on the screen. Q. What appointment types can't be checked in using self-service Kiosks? There are some appointment types that are not able to be checked into using the self-service Kiosks. Please see Reception when you arrive at the practice.